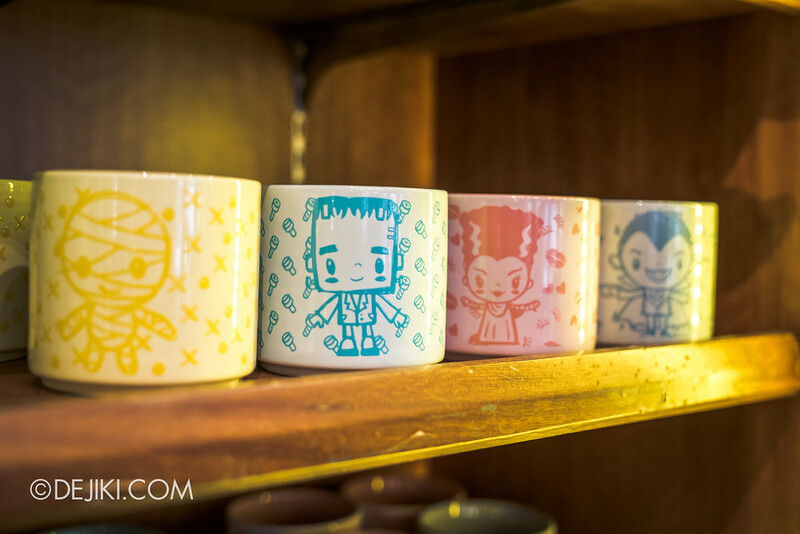 It’s time to check out what’s new at Universal Studios Singapore! 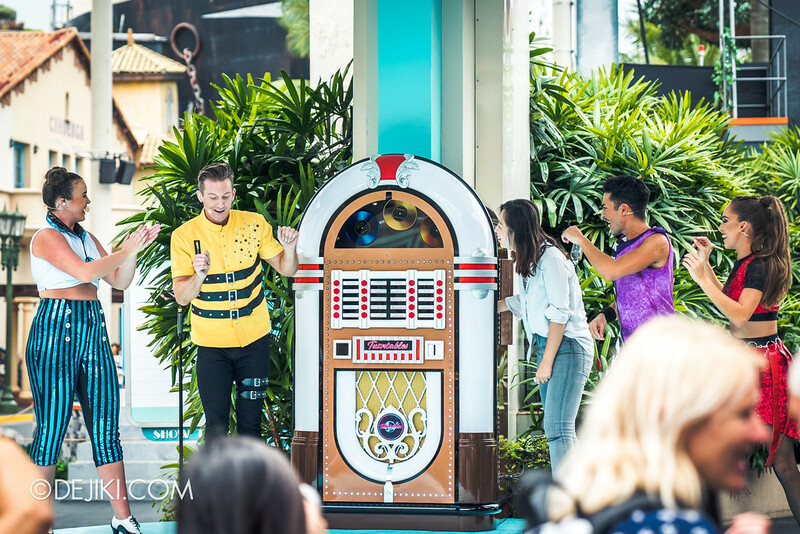 The Turntables is the successor of all the shows performed at Mel’s Stage beside Mel’s Drive-In restaurant. This show replaces the previous line-up of Mel’s Dinettes, The Cruisers, and The Cruisettes. 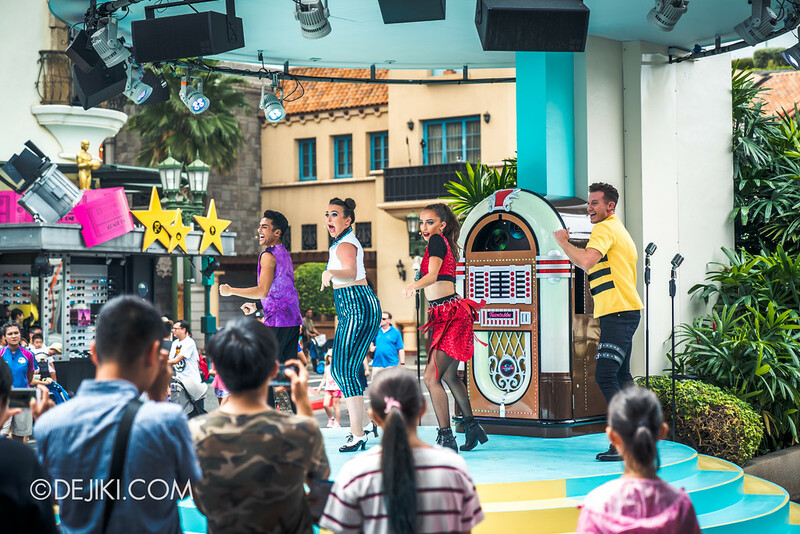 Those who were with the park since it opened would know the Daddy-Os… and that Kowabunga Kove show (with much of Hairspray and Dreamgirls songs, and had 6 performers) that didn’t survive past the park’s soft opening phase. This is the most interactive and engaging show as guests will be able to “turn the tables” on the 4 starlets on stage. 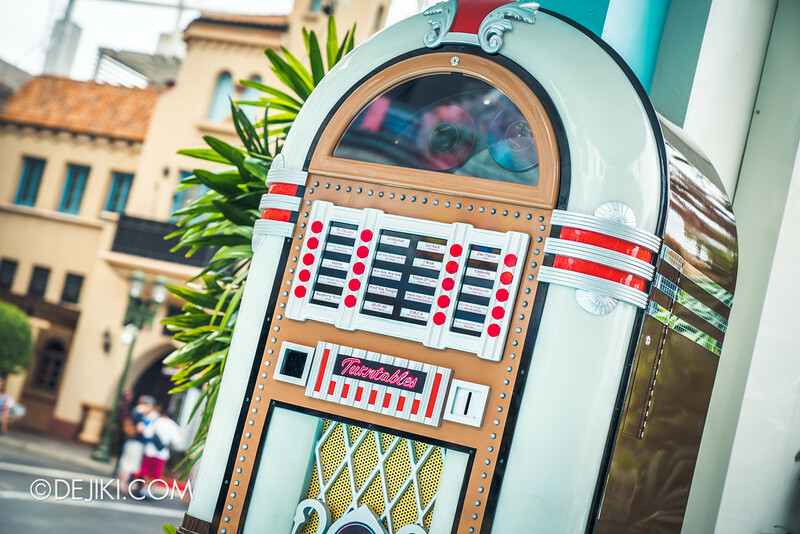 During the show, guests will get the opportunity to spin the jukebox and “randomise” the set list. So no two shows are “the same” at the Turntables – for the first few months at least. 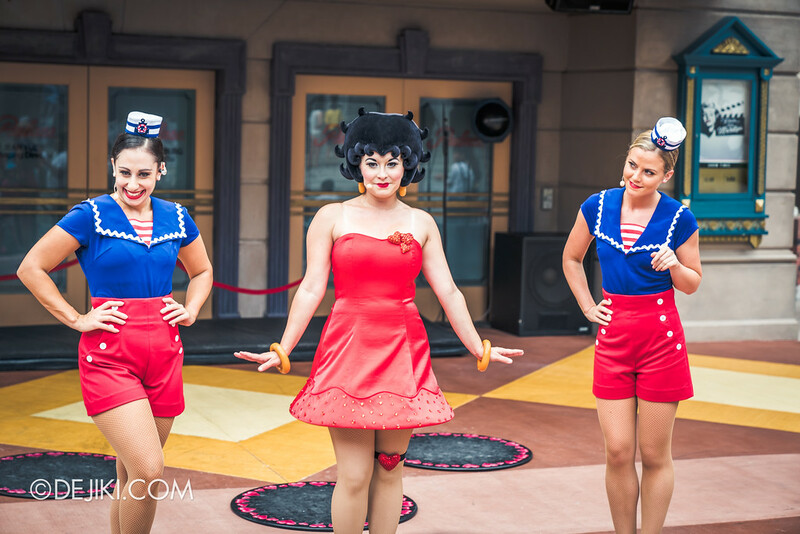 Betty Boop finally has a Boop-Oop-a-Dooping show of her own. Performed at the ‘Palace’ Theatre marquee, a few lucky guys will get to dance (or flirt) with Betty and her girls. From 23 August onwards, park hours will be shortened gradually. Starting September, park hours will switch to 10AM – 6PM, as the park prepares for Halloween Horror Nights 8. Canopy Flyer: 25 Aug 2018. Pantages Hollywood Theater: 19 – 30 Aug and 2 – 10 Nov 2018. 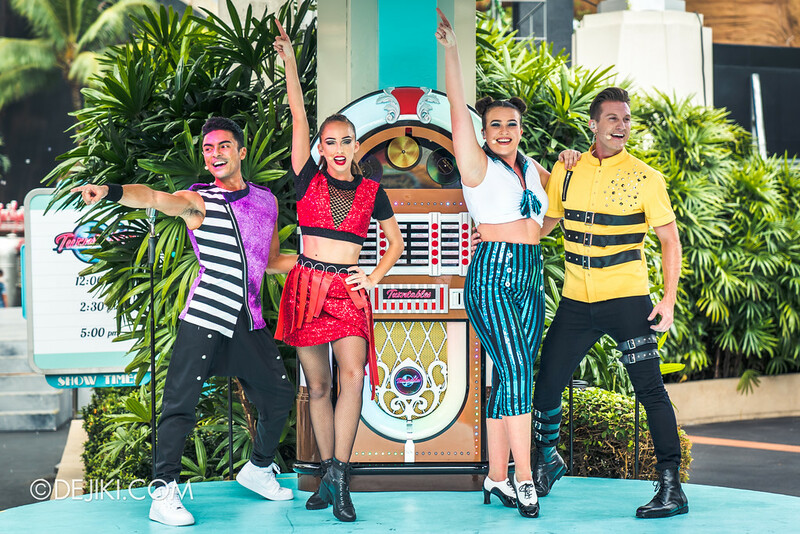 TRANSFORMERS: The Ride: 10 – 14 Sep 2018. Sesame Street Spaghetti Space Chase: 11 – 16 Nov 2018. *Maintenance Schedule subject to change. Last updated 24 Aug 2018. 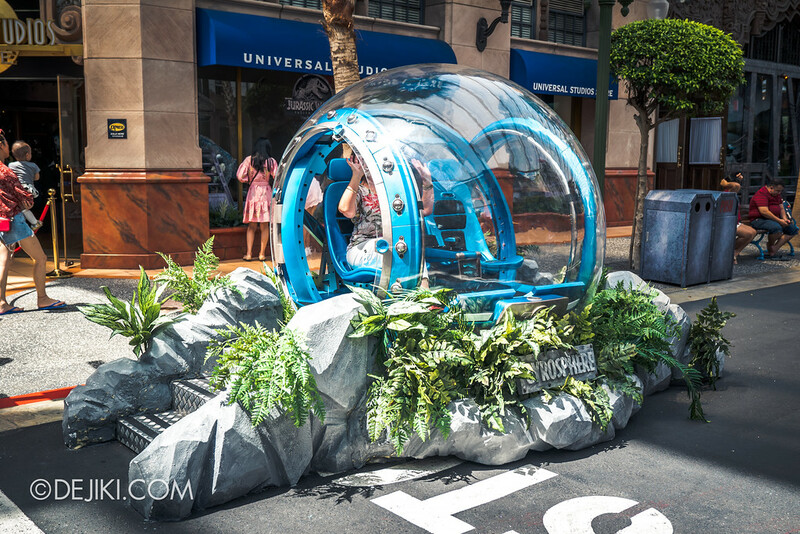 It’s the last few weeks to check out the Jurassic World: Explore & Roar! event, before the dinosaurs return to InGen’s vaults after 22 August 2018. 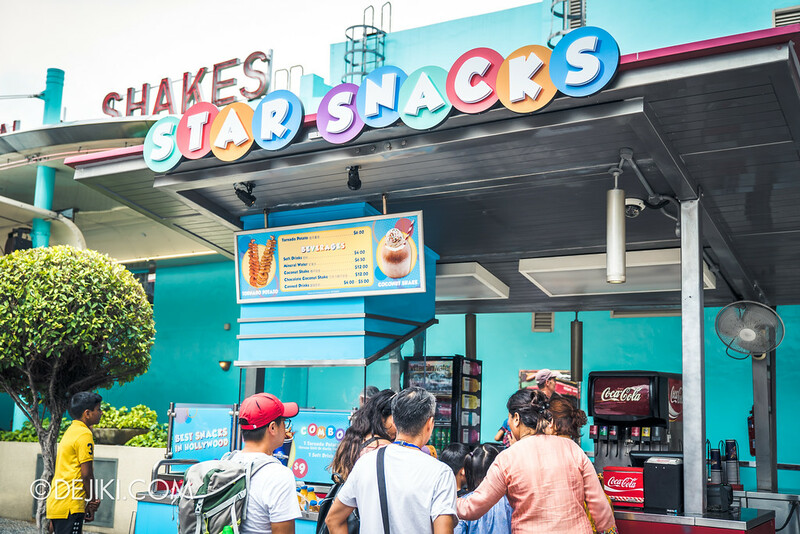 The Hollywood Prata cart is now Star Snacks, serving up the twisty Tornado Potato ($6) aka ‘hoeori gamja’ from South Korea. Or you can also grab a Coconut Shake for $12, which is a coconut with a whooping scoop of ice cream. 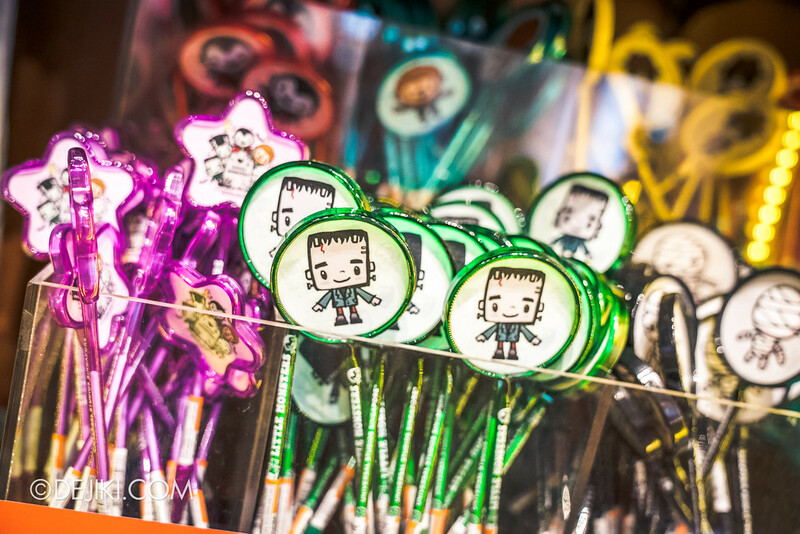 Not sure why, but the classic Universal Monsters are making a comeback with an adorable range of souvenirs. 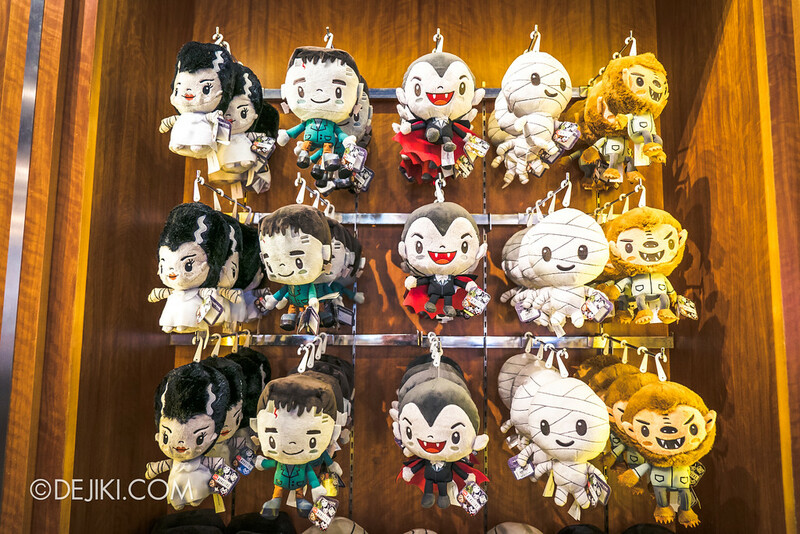 But the biggest question is… when will the Universal Monsters return? Just about 6 weeks away and the houses are coming up fast and furious. 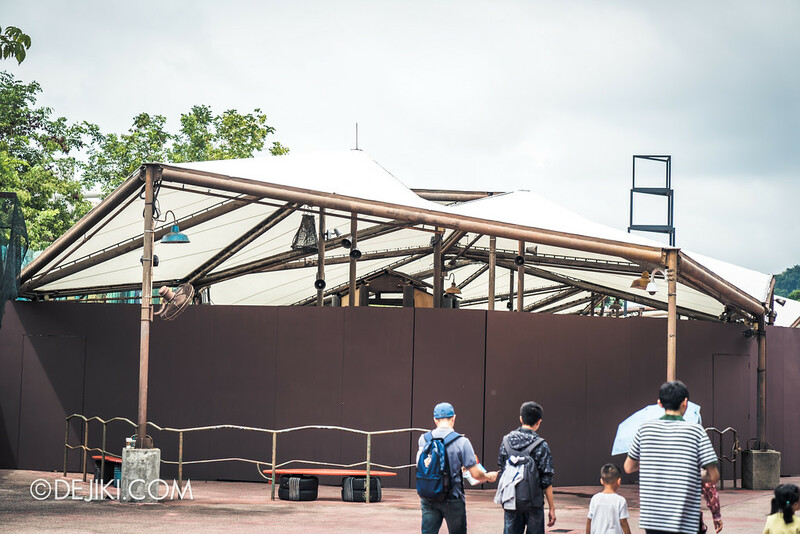 We’ll see more obvious construction work in the park sometime after the Jurassic World event ends on 22 Aug 2018. The largest haunted house this year, Stranger Things, will extend out of an existing structure, giving more room to realise the 12 scenes of this attraction. 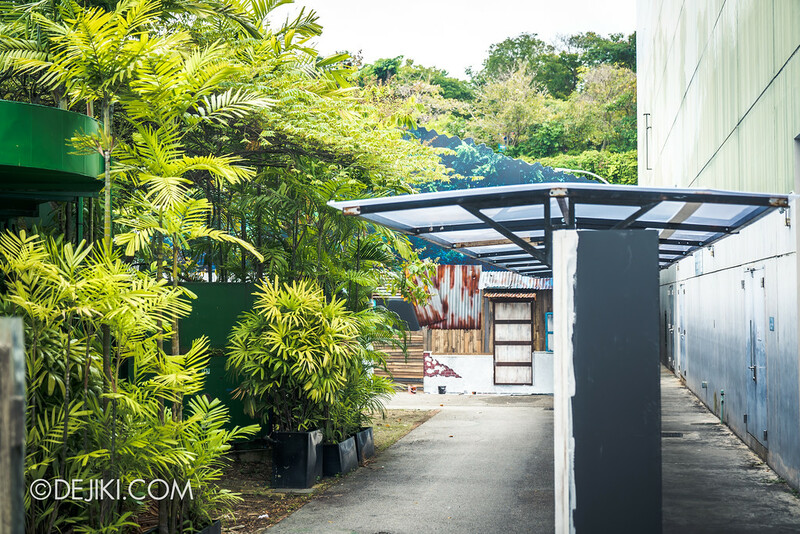 Fun fact time: This is the fifth consecutive year the park is building a house here, and in the past we had Inside The Mind, Hawker Centre Massacre, Tunnel People and Jing’s Revenge at this site. Those tree-like columns are likely to be Mirkwood, or its equivalent in the ‘Upside Down’ dimension. 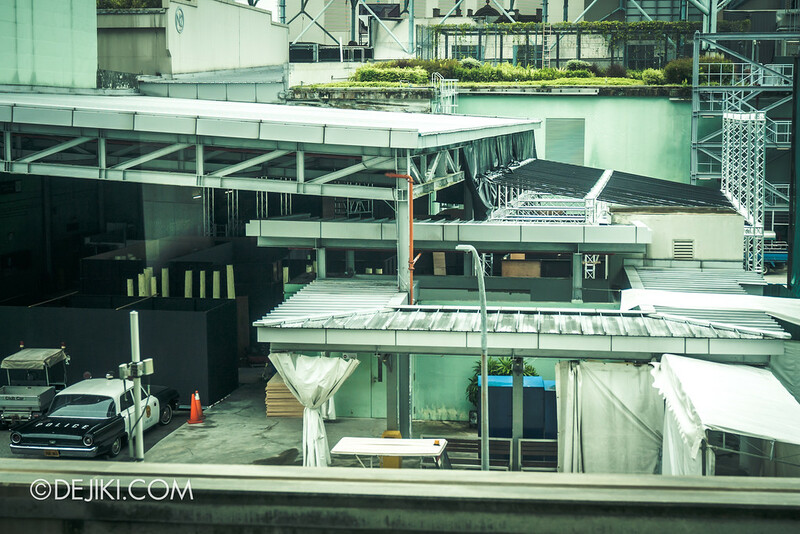 Towards the back, there is a tall structure – possibly an aerial stunt or special effect. This extended area, at time of posting, has already been covered. 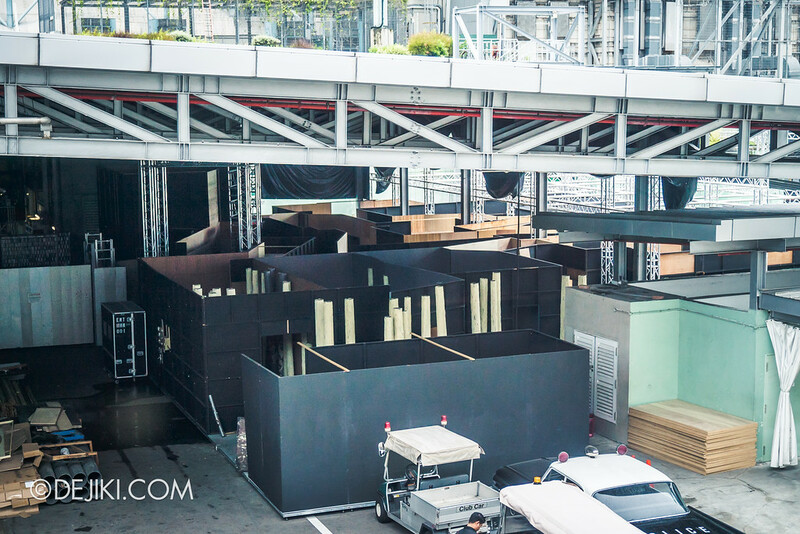 And it is likely to have an imposing facade fronting the show area. Perhaps the Hawkins National Laboratory will be seen from the outside, since the Byers Home isn’t that tall or wide. 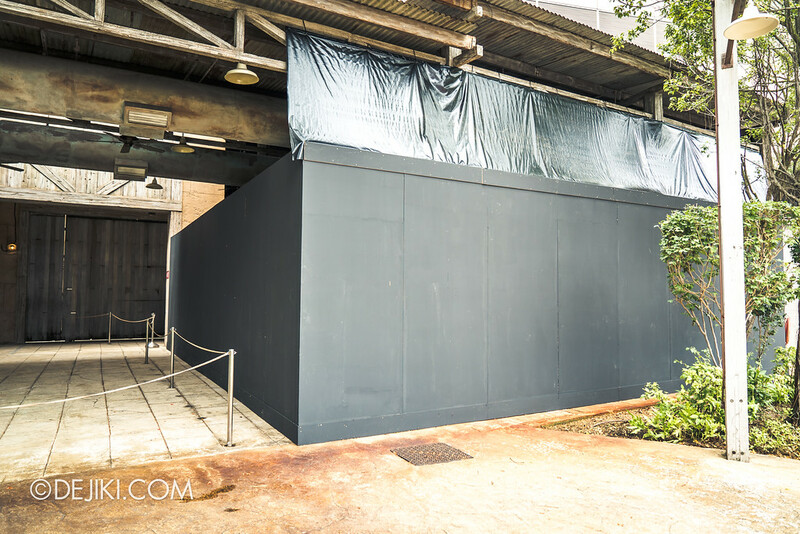 Unless the park is intending to do the “giant wall” screening clips from the Netflix series, with a tiny entrance at the corner. Those who’ve been to the American parks’ Horror Nights will know what I’m talking about. The Pagoda of Peril site has a five-tiered tower structure rising from the middle of the site. 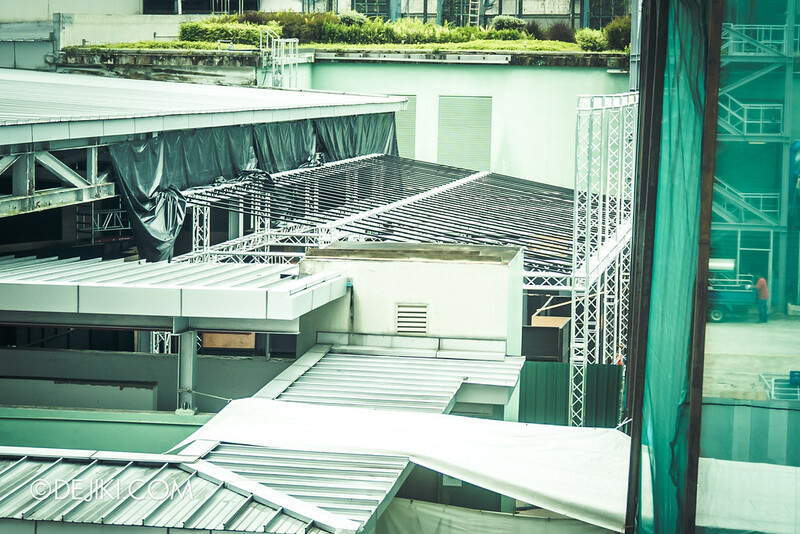 Pontianak will feel at home this year, with her haunted house taking shape at where her old haunts, MATI CAMP and Old Changi Hospital, were staged in the past. The Haunting of Oiwa is happening beside the Revenge of the Mummy show building. Just like the past houses built here, there should be some structures placed near Sci-Fi City. For more details about this year’s line-up, check out the HHN8 Press Conference Special Feature and my HHN8 Ticketing and Event Guide. I had the opportunity to catch the park’s makeup and costume specialists working on HHN8. Look out for new videos, photos, and an article showcasing their work. I’ll post updates either on my Facebook page or Instagram (@dejiki). Also, my signature BEFORE DARK: Halloween Horror Nights series will return to document this year’s scenic build progress.